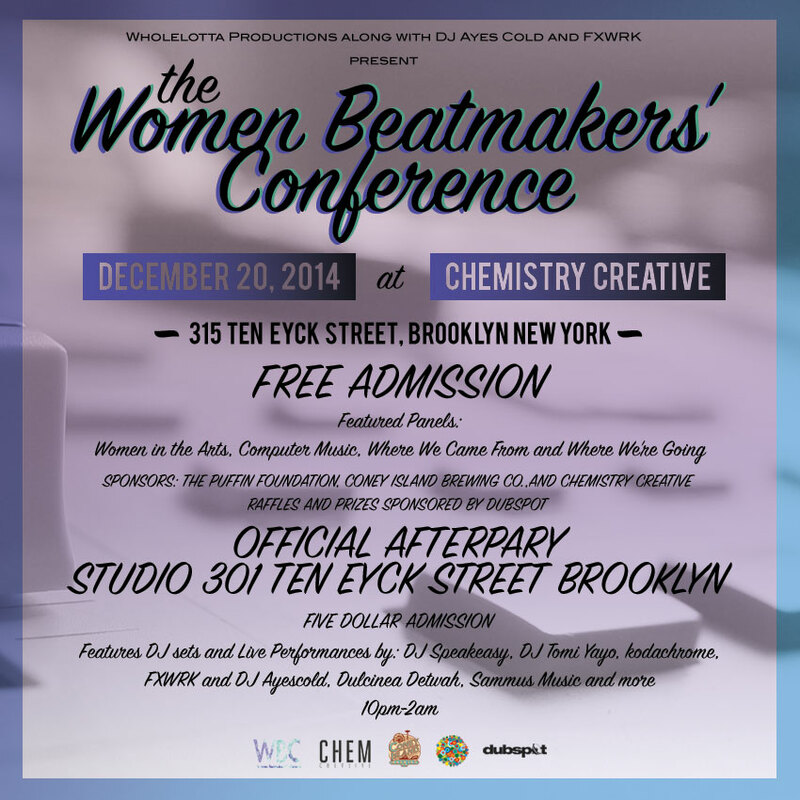 Brooklynites, this Saturday I’ll be in BK for a Women Beatmakers Conference brought to you by Wholelotta Productions! The conference is going to be an all-day affair starting at 12:30pm at Chemistry Creative [315 Ten Eyck Street], followed by an afterparty at Studio 301 – 9:00pm start time. You can catch me as a panelist on the “Women in the Industry” panel that starts at 12:45pm and I’ll also be performing at the afterparty. Oh and did I mention the conference is totally FREE? To RSVP and see details head to the Eventbrite page HERE.